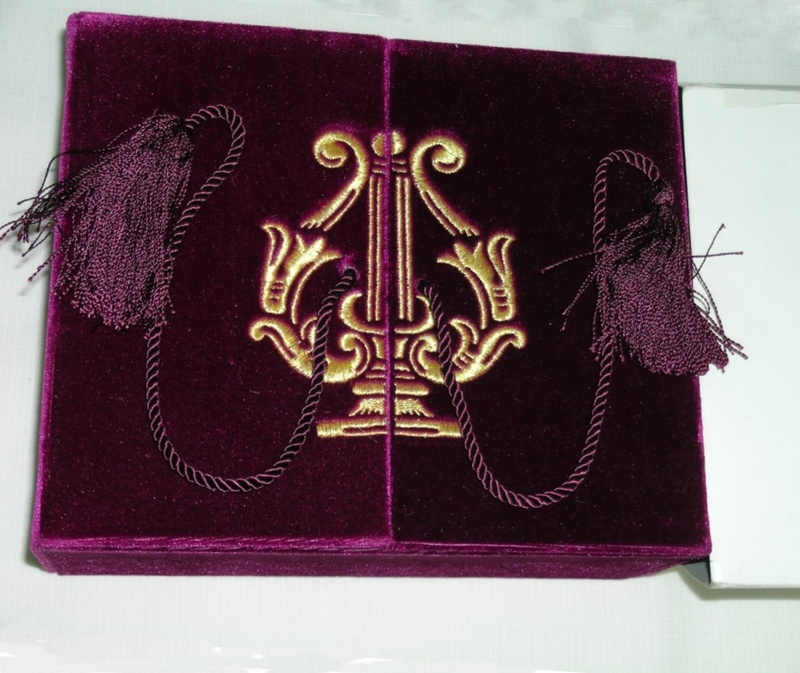 Description: Luxurious boxed set of Bal a Versailles, covered in gorgeous purple velvet and lined inside with purple satin. 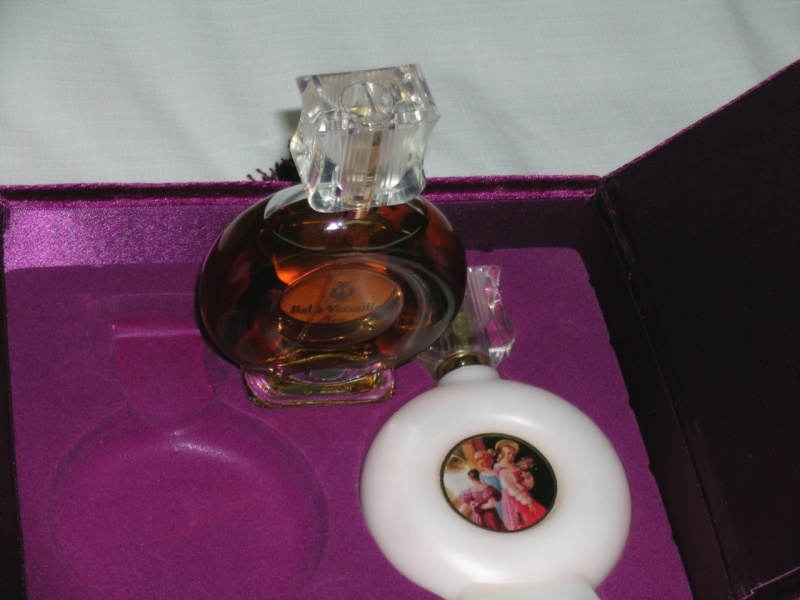 Includes 3.4 oz Eau De Toilette Spray and 5.8 oz Luxury Body Lotion (with pump) by Jean Desprez. 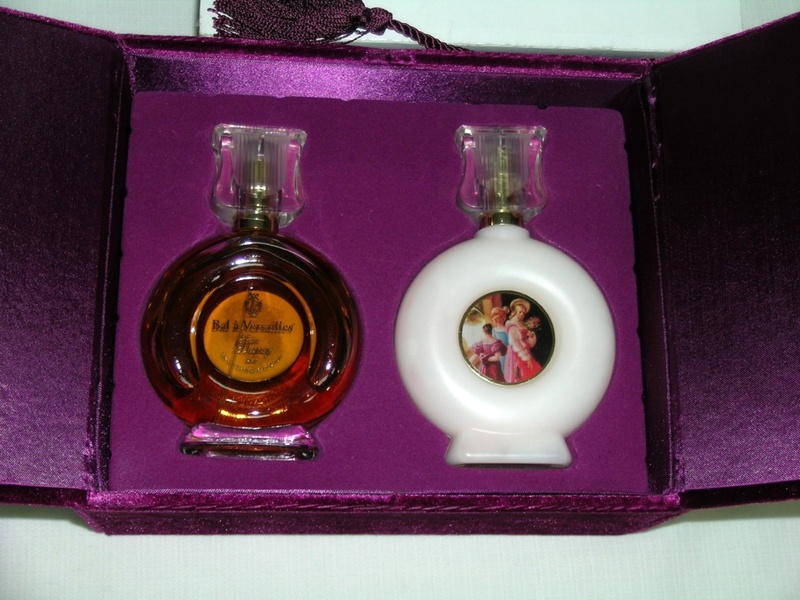 This duo is boxed in its beautiful velvet box with a dust cover - and almost full bottles - may have been tested once or a little of the perfume may have evaporated. The set is pristine. 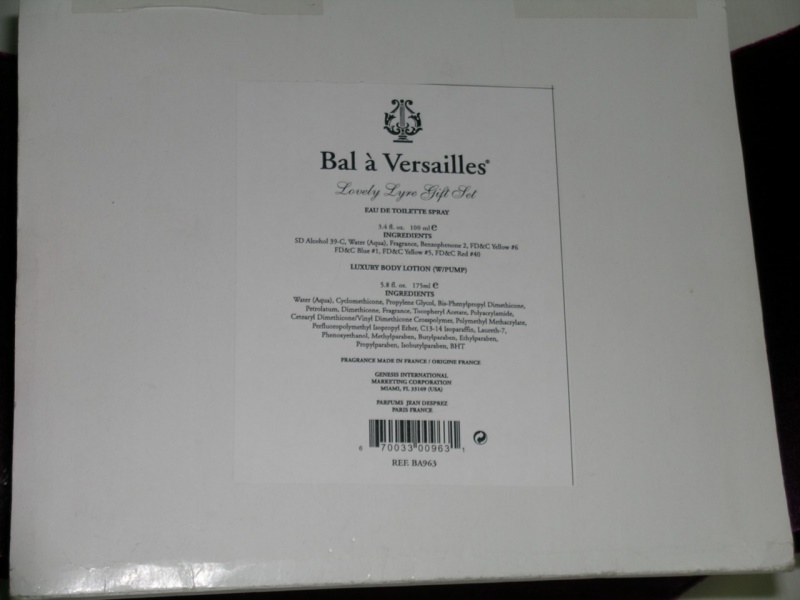 Using only the finest ingredients, Bal a Versailles opens with a complex medley of Italian Bergamot, Italian Lemon, Tunisian Neroli, Ylang Ylang and Cassie Absolute. The heart of this classic floriental is based on rare and precious essences of Jasmin Absolute, Rose Absolute, Opoponax and Orris Specialties. To this are added exotic woods and spices: Vetiver, Patchouli, Sandalwood, Vanilla Absolute, Mousse de Chene Absolute, Cistus and Insense. 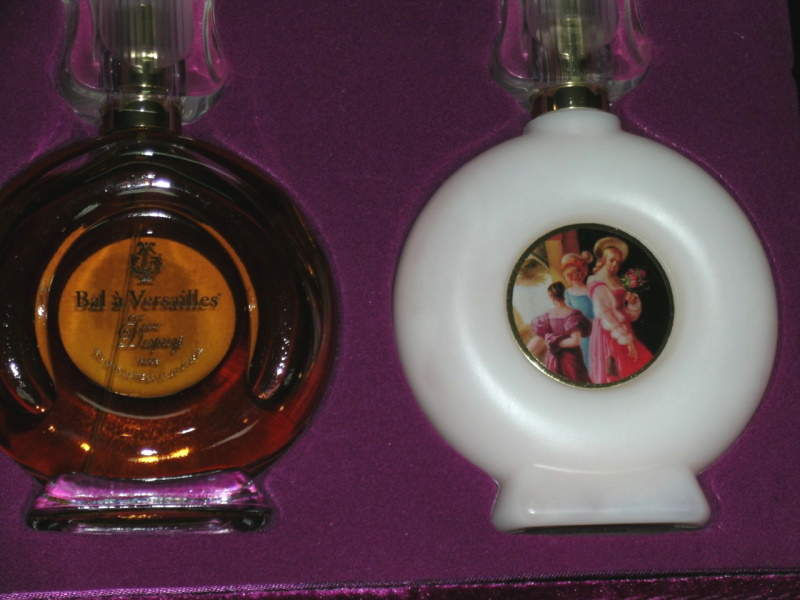 Warm and richly textured, Bal a Versailles is a timeless indulgence, appealing to the most discriminating tastes of yesterday and today. I don't know when the set was made, as I have never found anything else like it. Just beautiful.